YouTube Red has been pretty busy lately. Deadline reports the streaming service has renewed five original series: Escape the Night, Foursome, Mind Field, Rhett & Link’s Buddy System, and Fight of the Living Dead. Additionally, YouTube Red has ordered several new series, including Good Game from Dan Harmon’s Starburns Industries and Lifeline from producer Dwayne Johnson. YouTube Red has not yet announced the premiere dates for season two of Escape the Night, season three of Foursome, season two of Rhett & Link’s Buddy System, season two of Mind Field, or season two of Fight of the Living Dead. What do you think? Do you subscribe to YouTube Red? What’s your favorite show on the streaming service? 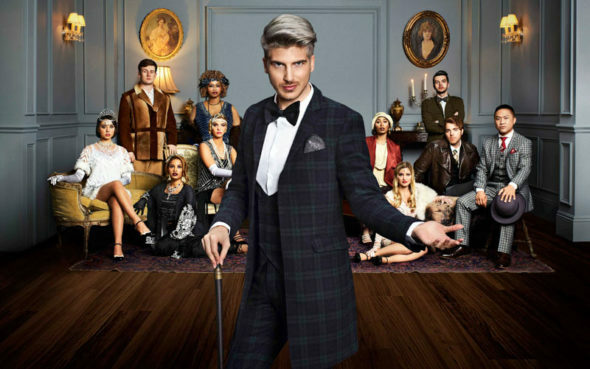 More about: Escape the Night, Escape the Night: canceled or renewed?, Fight of the Living Dead, Fight of the Living Dead: canceled or renewed?, Foursome, Foursome: canceled or renewed?, Mind Field, Mind Field: canceled or renewed?, Rhett & Link's Buddy System, Rhett & Link's Buddy System: canceled or renewed?, YouTube TV shows: canceled or renewed?